The Winter is here my friends and if your skin is like mine it gets a bit dryer with each and every passing chilly day! 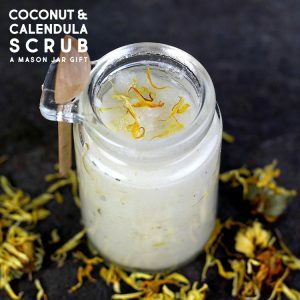 So what better gift to receive but this nourishing Coconut and Calendula Scrub which is Sugar based with amazing Coconut and Grapeseed Oils which are loved by your skin…then some fabulous essential oils along with crushed Calendula. 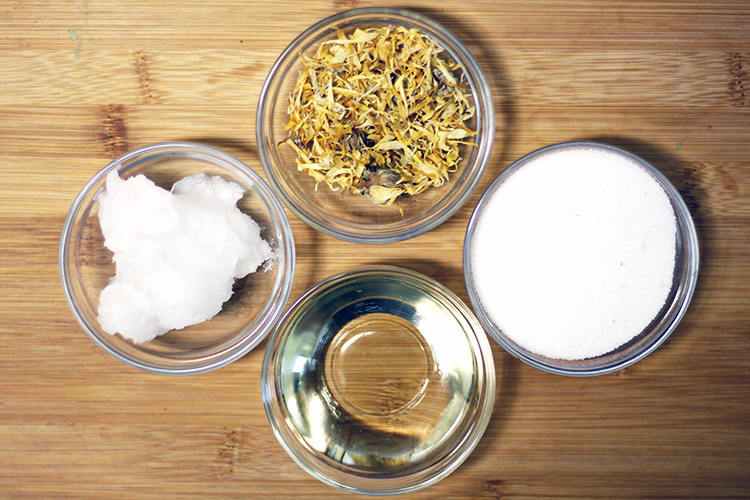 Calendula has some major benefits for your skin…it is a wonderful moisturized for your skin…it helps to heal chapped and cracked skin and leaves your face feeling fresh…smooth and healthy. The recipe for this incredible scrub is very simple…make some for yourself and of course it makes a perfect gift! 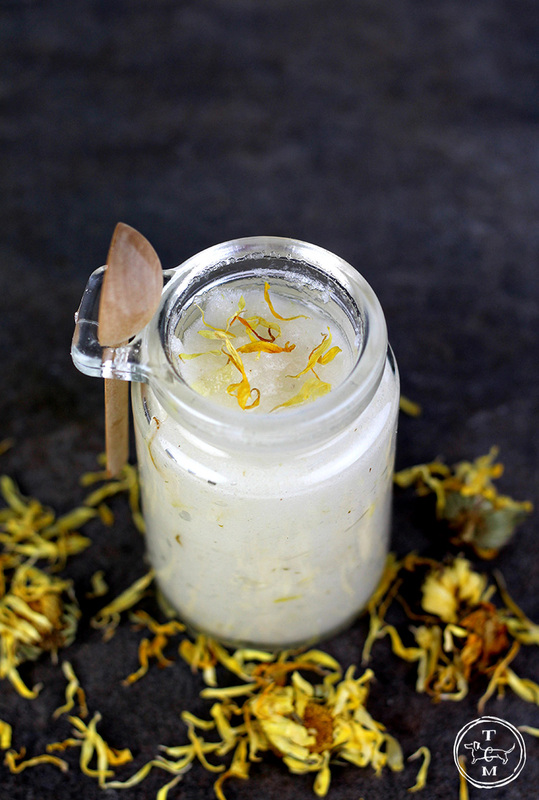 Don’t you just love this little jar with the spoon…so perfect! 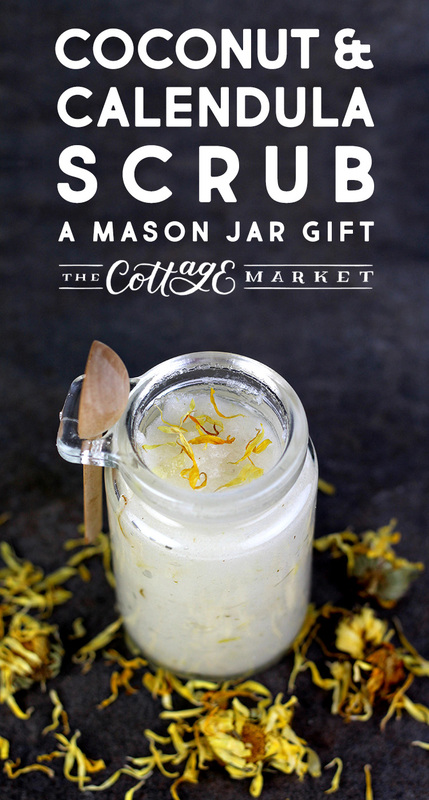 Of course any jar or Mason Jar would be fabulous also! 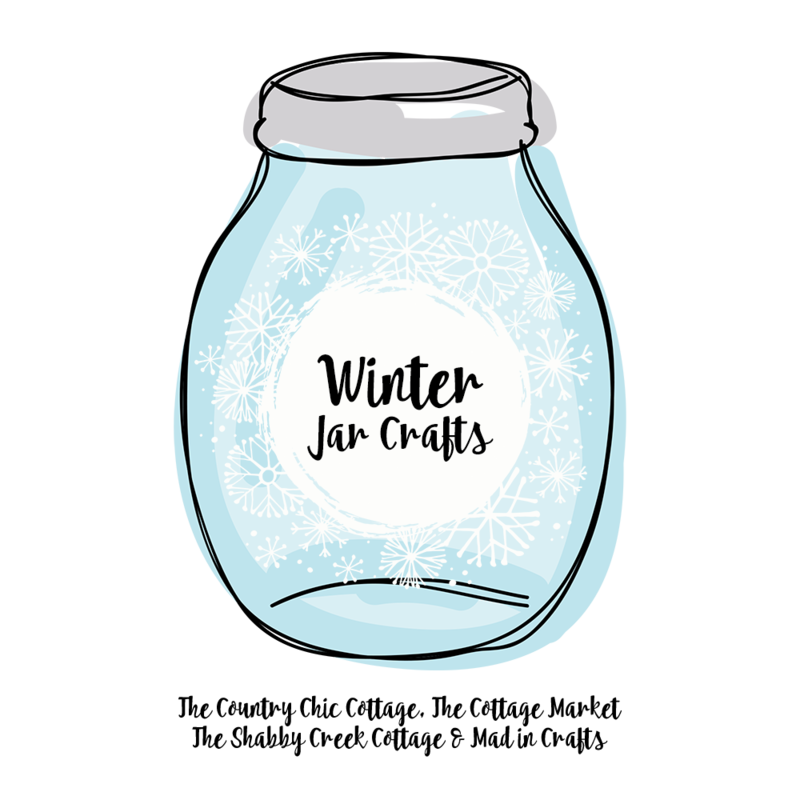 Once you check out the recipe…be sure to take a peek at the great Winter Jar Gifts that my friends have created…you will be glad you did…ENJOY! 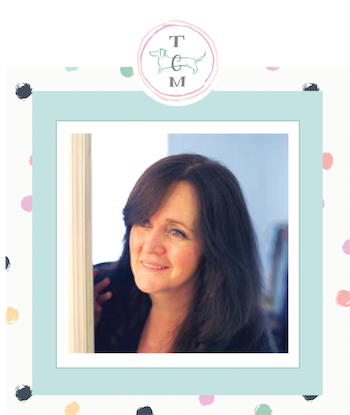 Don’t forget…if you are giving this as a gift…we have a beautiful Free Printable Tag waiting for you below…the perfect pretty touch! 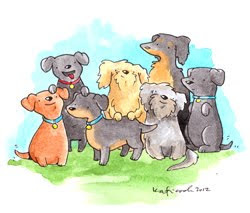 Click Here for These Tags! 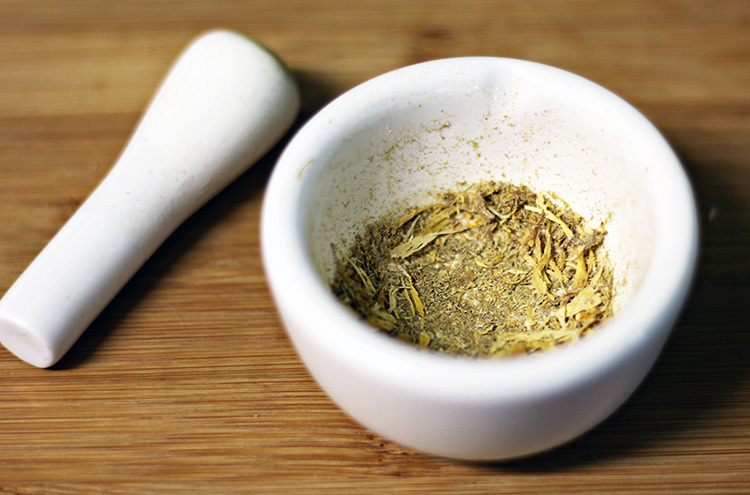 Use a mortar and pestle to grind the calendula into a powder. You can leave some of the petals, but you want it to be fairly fine. 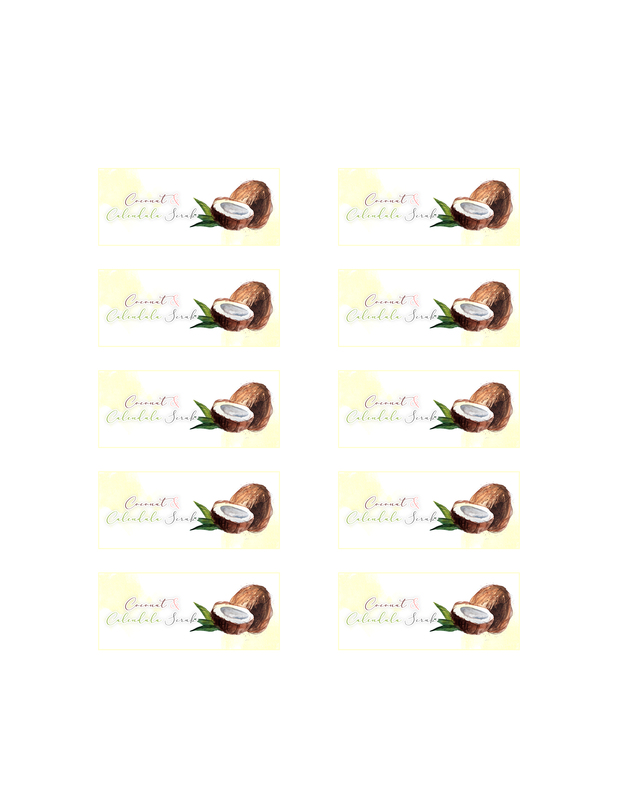 Place the coconut oil in the fridge for 5-10 minutes until firm. Whip the coconut oil until creamy using the whisk attachment on a stand mixer. You can also use a hand mixer. Add grapeseed oil and whip again. Add ground calendula, sugar, and essential oils. Stir by hand. Would love to make this scrub, sounds heavenly but just not in financial position to buy all those oils,etc .Looks and sounds so good. Where did you find those cute jars with spoons? Glad you shared this tho. Am going to print this out however in hopes can afford all those oils someday. Would love to try this. We live on our SS, we got paid 1 day before Thanksgiving and don’t get paid again til 2 days after Christmas. Makes for very long 5 weeks at most expensive time of year. Grand Junction is expensive place to live in SS, what a challenge.